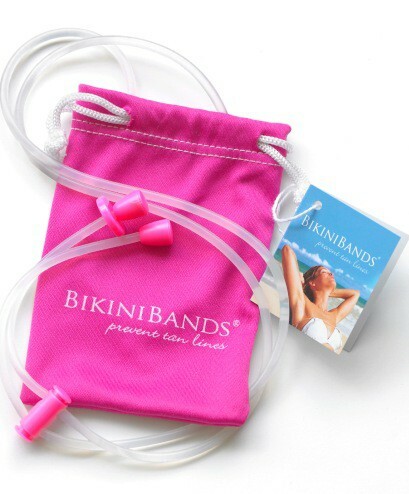 Expired BIKINIBANDS – Bid farewell to tan lines this summer!! Australia’s Newest Swimwear Accessory Summer Launch Special Offer! Bikinibands are a simple and effective way to bid farewell to tan lines. Go strapless when poolside or at the beach this summer. Relax with confidence knowing the Bikinibands outstanding strength keeps your top securely in place. Completely discreet and comfortable with its non slip, translucent silicone strap, the stylish, simple design, adjusts to fit all sizes. Sit upright, flip over, jump, laugh, smile and be active in the sun. Don’t be without your new beach bag necessity for a flawless summer tan! Why not get one for yourself and one for your friend with the Missy Special Offer! Makes for the perfect Christmas Gift! Be one of the first on the beach this summer to sport the new Bikiniband. To celebrate the launch of Bikinibands in Australia, Chelsea Road offers Missy subscribers the special purchase price of $14.95 ea or 2 for $25.00.